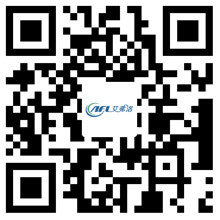 EC Fan has Low Power Consumption - Hangzhou Airflow Electric Appliances Co.,Ltd. Compared with the traditional AC motor, EC Fan make the use of other parts more effective, low-load operation significantly reduced energy consumption, and EC fan power consumption is only used by industrial standard fan one-third. When the motor drives the fan spindle mounted on the bearing through the pulley, the impeller speaks high-speed rotation, pushing the air through the blade, allowing the air to get a certain amount of energy flowing around the center of the impeller. When the gas passing through the volute, due to the volume gradually increased, is part of the kinetic energy into pressure energy, and then from the exhaust into the pipeline. When the impeller rotates, the impeller center to form a certain degree of vacuum, then the air at the suction port at atmospheric pressure into the fan. In this way, with the continuous rotation of the impeller, the air is constantly being sucked and removed to complete the air supply task. EC fan is characterized by: brushless DC motor due to eliminating the excitation of the collector ring and brush, the structure greatly simplified. At the same time not only improve the motor process, and the mechanical reliability of the motor running greatly enhanced life expectancy. At the same time, the air gap magnetic density can be greatly improved, the motor index can achieve the best design, the direct effect is the motor volume reduction, weight reduction. Not only that, but also has excellent control performance compared to other motors. Because the EC fan uses a permanent magnet excitation, eliminating the induction motor excitation current loss; the same time permanent magnet brushless DC motor work in synchronous operation mode, eliminating the induction motor rotor core frequency loss. These two aspects of the permanent magnet brushless DC motor operating efficiency is much higher than the induction motor, small-capacity motor efficiency is more obvious. As the brushless DC motor magnetic field does not require the reactive current of the grid, so its power factor is much higher than the induction motor, which is very favorable for low-power motor. Brushless motors have a higher efficiency and power factor than rated motors, and are more advantageous at light loads.